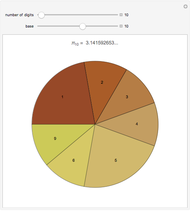 This Demonstration shows a pie chart that accumulates the digits of . 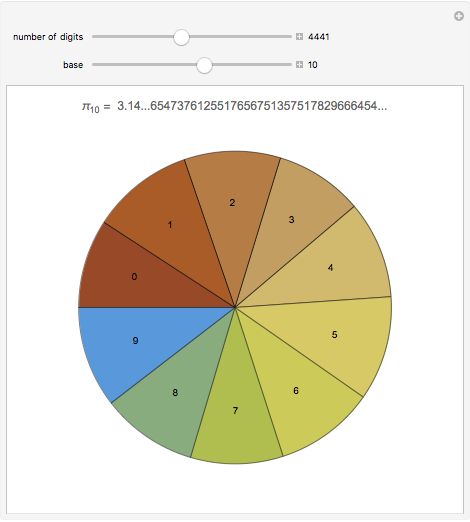 With more digits, the slices become more nearly equal, possibly indicating that is normal in any base. However, no proof of normality is known for any base. 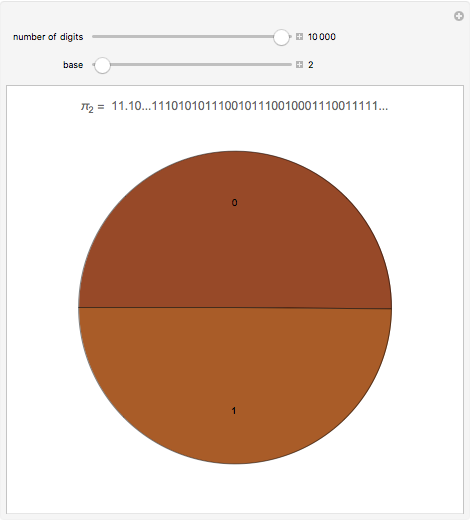 Hector Zenil "Pi Digits Pie"